The chaos of running a commercial kitchen or restaurant business can be overwhelming. It’s like, you know, behind the scenes of a play back there. A bunch of people are running around, acting crazy, yelling, trying to get everything together and then when you enter the dining room you wear a perfect smile and you’re pleased as can be because that’s what the customers expect. At least that’s how we envision it. Maybe that was a little dramatic. Our point is that it’s (understandably) chaotic back there, and it’s easy to overlook stuff, such as whether you’re up-to-date on your required kitchen hood cleaning. 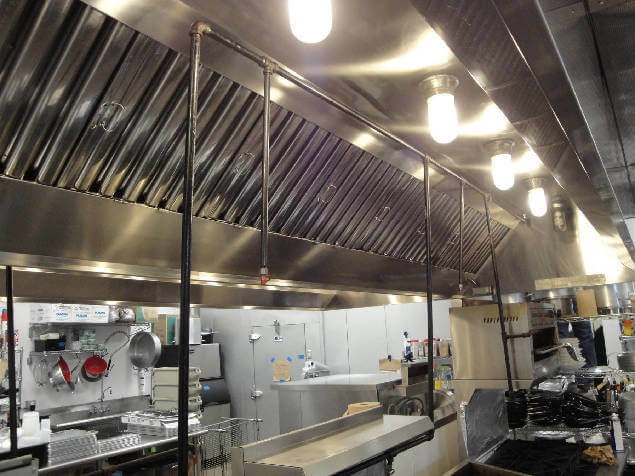 Your kitchen hood exhaust system plays an incredibly important role in your restaurant. It helps keep the air of the restaurant become contaminated with grease vapors and smoke. Additionally, it helps minimize fire hazards. However, if you don’t have a regular kitchen hood cleaning schedule in place, you could be putting your restaurant at serious risk. Fire marshals, insurance companies and board of health regulations require regular cleanings of a kitchen exhaust system. The build-up of grease in a commercial kitchen hood system can result in a grease fire. Grease fires are among the most common types of commercial kitchen fires, and they are a particularly nasty type of fire. Let us help you NOT end up with the headline news, okay? Contact BEST HOOD CLEANING so that we can determine a proper kitchen exhaust system cleaning for your business. 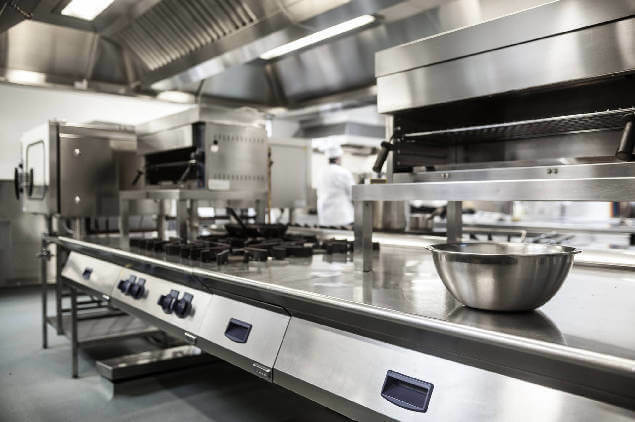 If you want to be safe, connect with your insurance company or local board of health to see how often your type of commercial kitchen should have the cleaning done. The more you fry, the more you need to clean. As a general rule, commercial kitchens should have a professional hood cleaning done every 90 days. Some restaurants can go up to a year, but that’s less common. Call us today for your kitchen hood cleaning at 916-347-5300.
proudly services Sacramento for kitchen hood cleaning and is fully insured, bonded, certified and licensed.